Is this Mary-Kate Olsen's wedding ring? I know that it's kind of hard to see. It feels like the photographer added a sepia filter and sharpened to his last nerve. However, the Internet blew up when Olsen stepped out for a smoke break with her sister in NYC last Tuesday. This was the first look we've gotten of Olsen since marrying French banker Olivier Sarkozy, and that new gold band on her left ring finger caught everyone's attention. But, we haven't gotten a clear shot of it yet! In fact, it seems to pale in comparison to Olsen's engagement ring. If you forgot, the engagement ring was a vintage Cartier from 1953 that sold for $81,250. Wowza! It wasn't Kim Kardashian's $8 million dollar Lorraine Schwartz gem, but it's still ridiculous. The ring was made of European-cut diamond clocks in at approximately four carats, 16 sapphires, and petals set with single-cut diamonds. Diamonds and sapphires are a girl's best friend? Maybe the two were saving money, considering they had bought a five-bedroom townhouse for a reported $13.5 million in Turtle Bay Gardens last year. The child star-turned-designer tied the knot at a private ceremony in the end of November at a "cigarette-themed" wedding. I'm kidding about the theme, but they did provide bowls of cigarettes at the wedding, according to the New York Post. The French, am I right? Not much is known about the ceremony itself, so I thought I'd break down the details for you. The couple started dating in 2012, and sparked engagement rumors after the unveiling of the Cartier "Eye of Sauron" in 2014. There is a 17-year age gap between the two. The couple rarely dishes about their relationship, but Olsen told WSJ magazine that the difference didn't bother her. 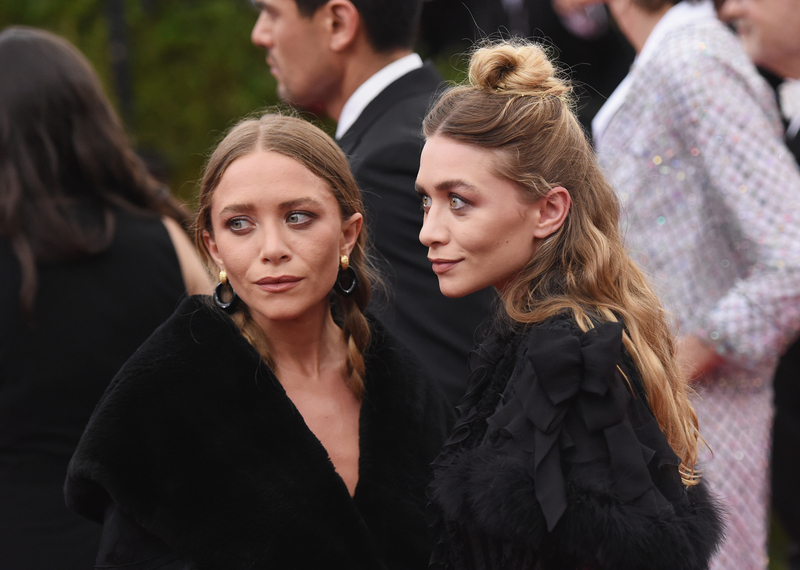 "Everyone has an opinion," Olsen said. "I find it's better to focus on what's in front of you and to keep putting one foot in front of the other." There's not a lot known about the wedding even now, but speculation has been thrown around. The ceremony was small, approximately 50 people, and held at a private residence on 49th Street between Second and Third Avenue, reports Vanity Fair. The guests drank cocktails in a rear garden prior to dinner inside. All were asked to turn their cell phones off. Nothing is known about MK's wedding attire, but the twins designed an amazing dress for stylist Molly Fishkin in 2014 that could give us a hint. This is Olsen’s first marriage. However, Sarkozy was married to children’s book author and freelance fashion writer Charlotte Bernard, with whom he has two children. Hopefully, as time goes on we'll get more of a glimpse — some wedding photos, perhaps? — into the magical day, but until then we can marvel at Mary-Kate's post-honeymoon glow at an event this week and watch Our Lips Are Sealed on repeat.